DECEMBER 2010 - ALL 14 HAMSTERS FOUND A HOME WITHIN ONLY A FEW DAYS! THANK YOU ALL FOR YOUR SUPPORT. We received a request with regards to 14 cute baby hamsters that are up for adoption. Unfortunately these were an unexpected litter and thus are now seeking a loving home. 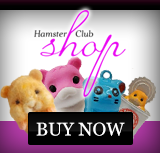 The pictures featured on this page, show some of these hamsters that are for adoption. These hamsters are just one month old (December 2010) and are looking for a good home. 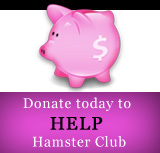 Please try and give a hand and adopt one of these cute hamsters. Don't forget that such hamsters have to be housed one per cage since they are solitary mammals. Both male and female hamsters are available so please contact me by clicking here if you are interested.